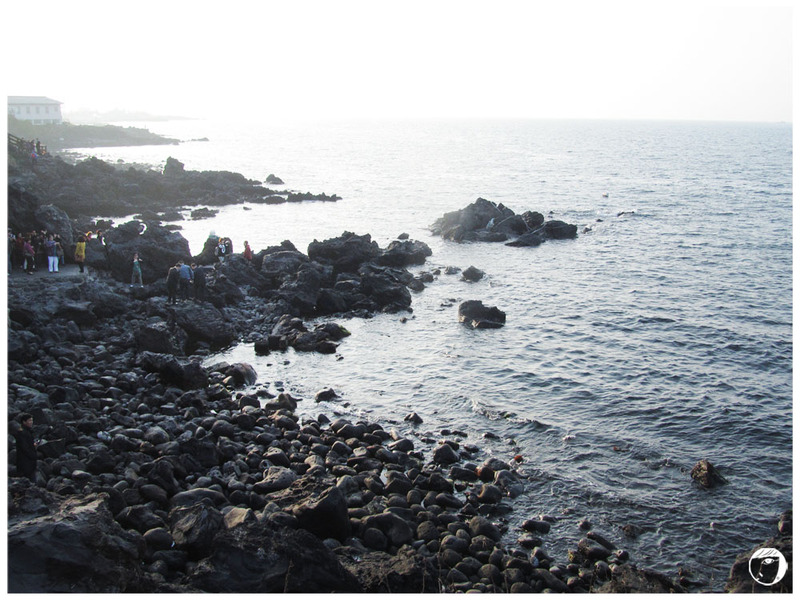 This year I had my chance to visit the cities outside Seoul, including the famous Jeju island. Different from Seoul, Jeju does not have subway system. Travelling by bus is possible, but may be complicated and time-consuming especially for the foreign travellers. This time I took a tour, so I collected the directions to go to these places from other sources. 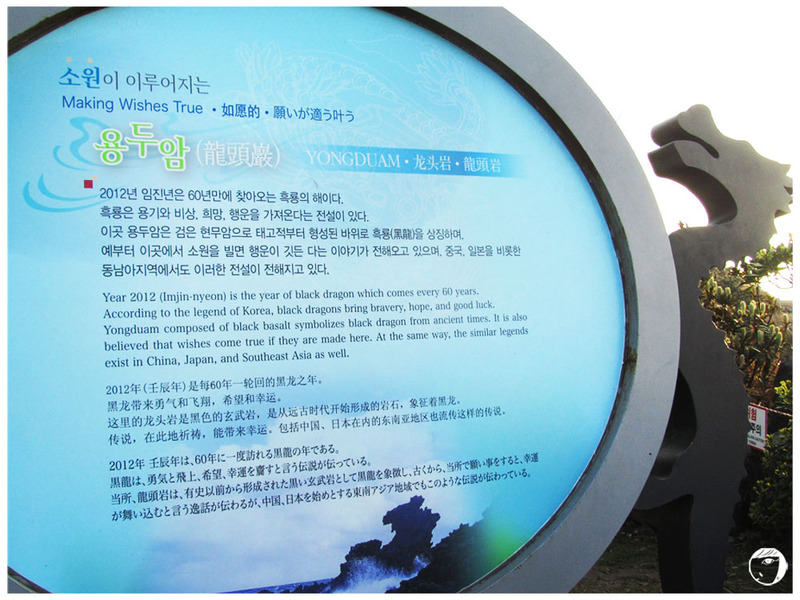 After our arrival at Jeju Domestic Airport, we headed straight to the famous Yongduam Rock or ‘Dragon Head Rock’ (in Korean 용두암). From the car park, it is a short walk to reach the rock. The rock is located on the seaside. Upon entering, there is a explanation board. Apparently, it is believed that the dragon brings hope and luck, visitors can also make their wishes here. The name originated from the legend of the rock itself. The shape looks like a head of a dragon. The legend says that a dragon stole a jade ball from the God of Mt. Halla. When the God knew about it, he was very angry and cursed the dragon to turn into a stone. The body then fell into the sea. The scenery here is breathtaking and we can enjoy a nice walk along the coast. Although I do not see the rock in the shape of a dragon head until I use more of my imagination. Visitors can climb down further to the rocky seaside to take pictures. 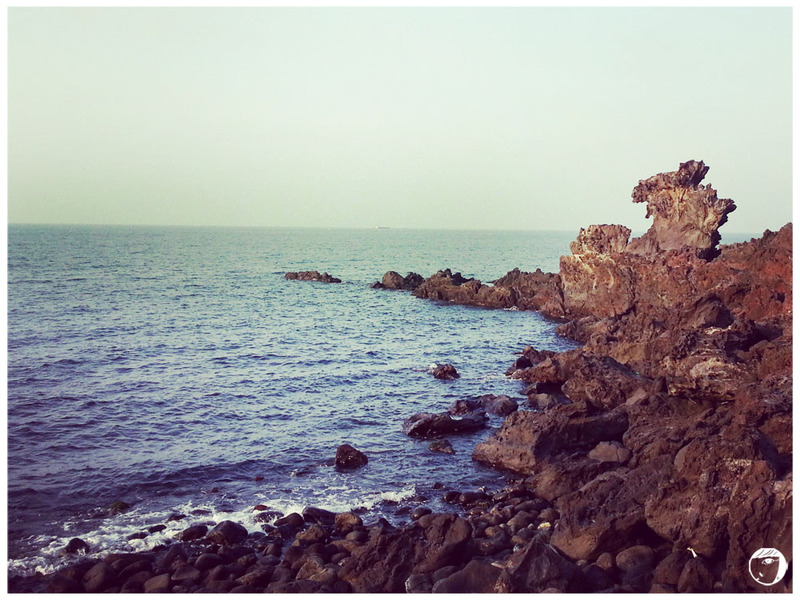 As for me, I did not do much here besides to see the rocky seaside and enjoying the breeze. 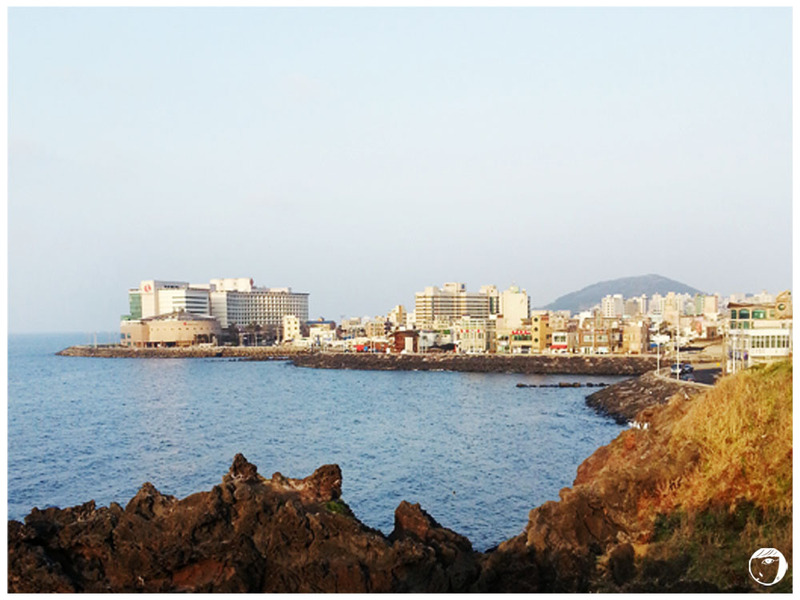 On the different side of rock, you can see a different view with Jeju buildings. 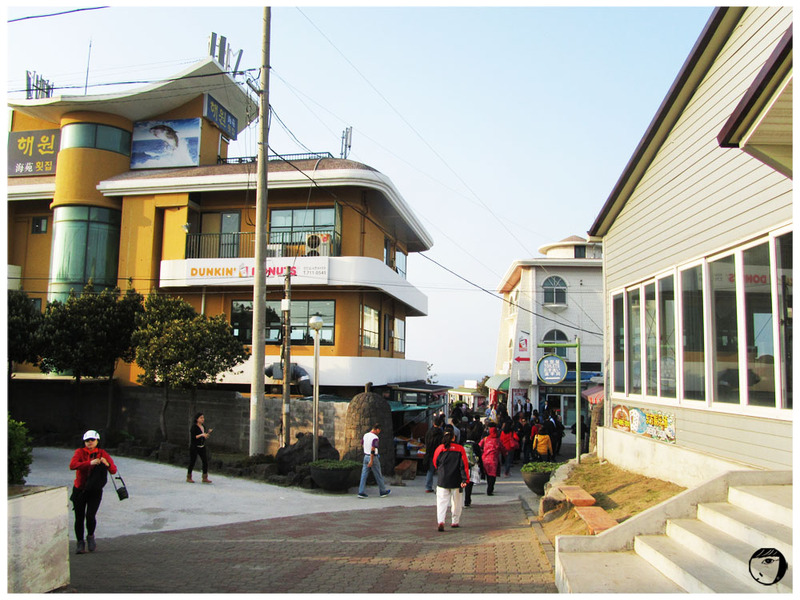 By Bus: Take bus bound for Jeju-si Jungang-ro from Jeju International Airport, Take bus bound for jeju-si Jungang-ro. Get off at Yongdam Rotary. Walk toward the beach for 5-10 minutes. By Taxi: It takes 10min by taxi from Jeju International Airport.